At the moment, Kerala is reeling under its worst flood since 1924. 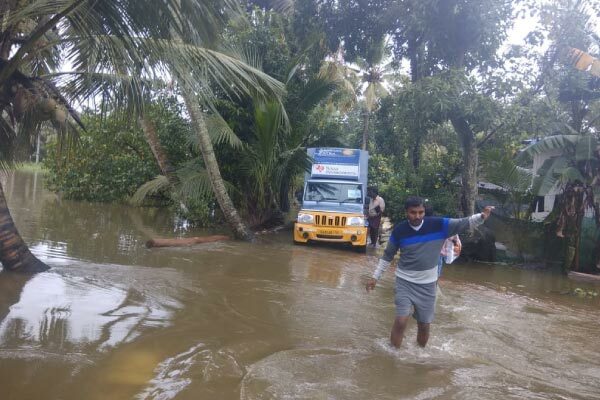 The torrential rains and landslides that hit the state of Kerala has ravaged the entire state since 8 August 2018, submerging many cities and villages thereby crippling normal life and services. Reportedly, around 10 districts have been severely affected and the entire state has been put under high alert. 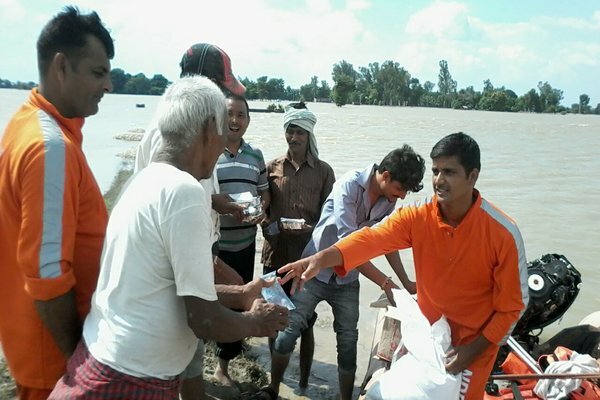 While the state is receiving help from the entire nation to deal with this unprecedented crisis, The Akshaya Patra Foundation has also stepped in actively in the relief work by providing cooked meals in flood-affected areas. 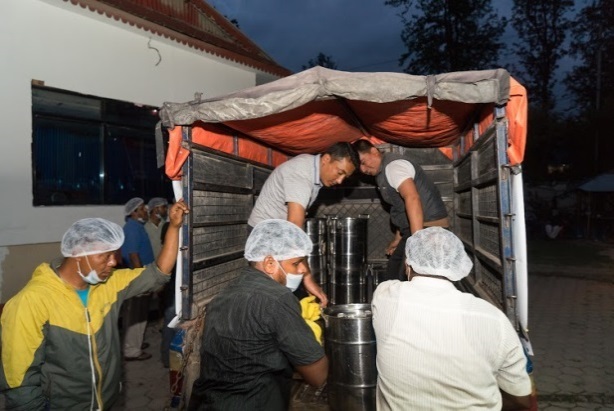 Relief team: A team of 27 Akshaya Patra employees along with four distribution vehicles and ingredients to cook 25,000 meals had departed from Bengaluru as an immediate relief response. 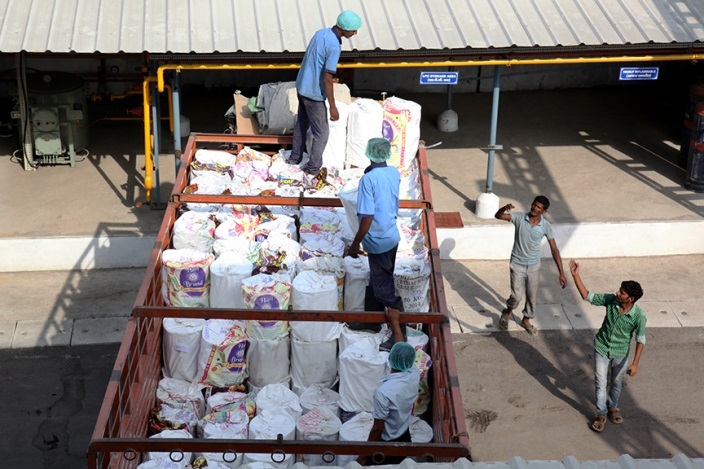 Everyday, additional ingredients including chapatis, drinking water are being sent from Bengaluru to support the operations at Alleppey. 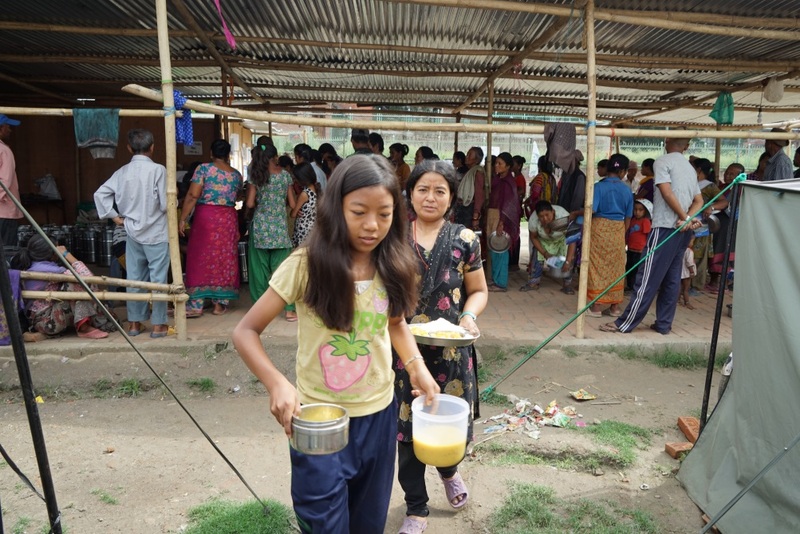 Relief work updates: Akshaya Patra began serving cooked meals from 13 August 2018. 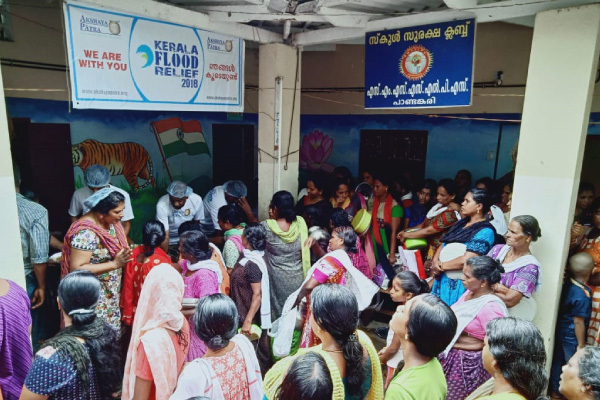 15 August 2018 – Shri S. Suhas, District Collector of Allapuzha came to visit the makeshift kitchen from where Akshaya Patra is preparing and distributing food to people. • 5,400 water bottles (1 litre each). 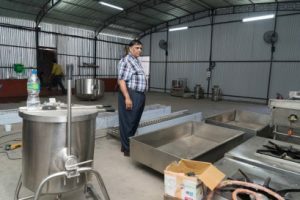 20 August 2018 – Additional cooking equipment such as stoves, vegetable cutting machines along with groceries were delivered to Kerala relief team to scale up operations. 25 August 2018 – To mark the tradition of Kerala, Akshaya Patra served Onam special dishes including rice, sambar, palya, and sweet pongal. 28 August 2018 – Shri Kodikkunnil Suresh, MP, visited Akshaya Patra’s makeshift kitchen at the Narasimha Temple in Chengannur. 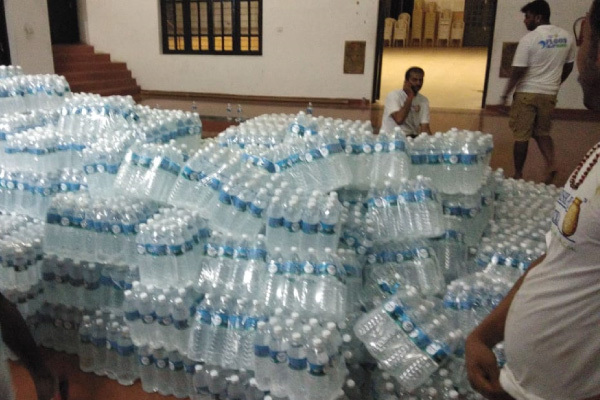 29 August 2018 – AIKYA volunteers have begun the cleaning up process in government schools and beaches in the flood-affected Alleppey district. AIKYA is the volunteering wing of Akshaya Patra. 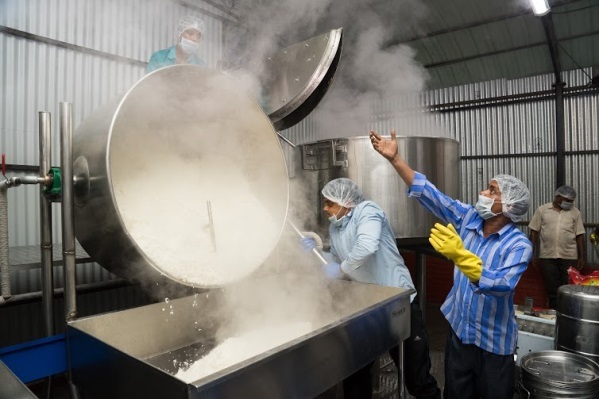 Akshaya Patra is serving approximately 7,000 – 10,000 meals on a daily basis to the affected people inclusive of breakfast, lunch, and dinner. 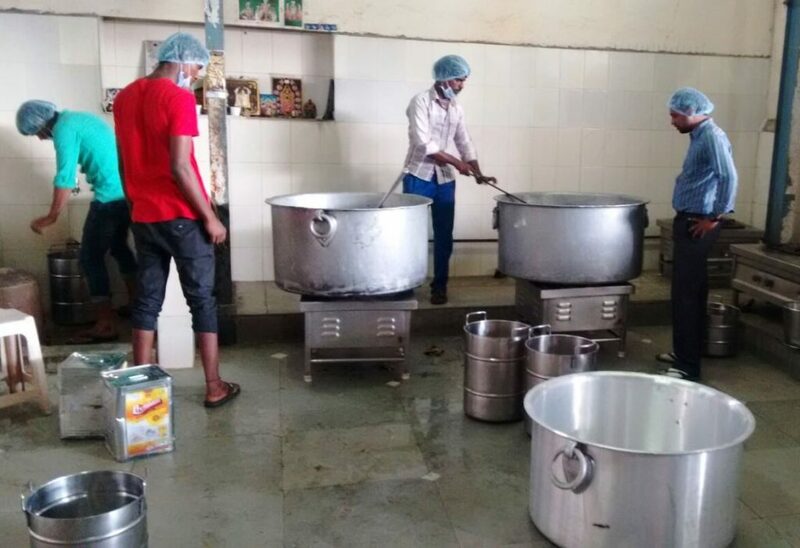 The food is being prepared at two makeshift kitchens – Alleppey and Chengannur. 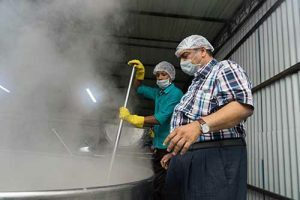 So far, Akshaya Patra has served more than 2-lakh meals in the Alapuzha region. 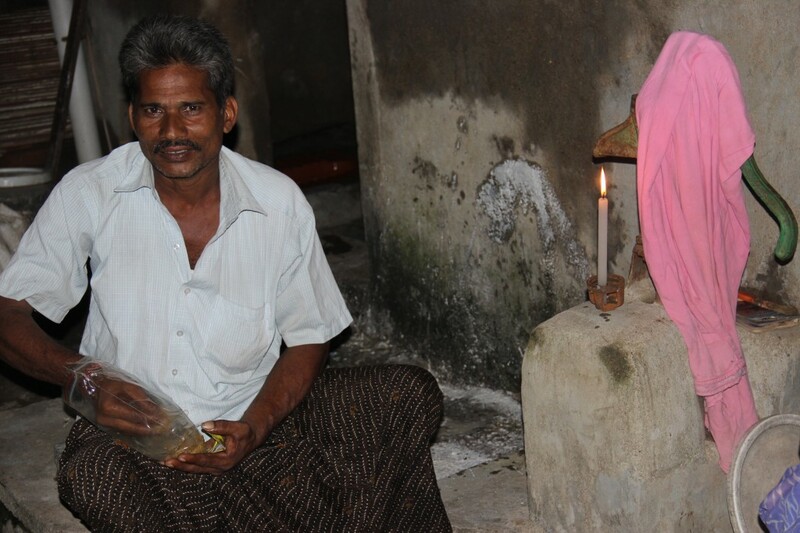 Type of meals served: Most of the dishes are prepared in coconut oil to suit the local palate. 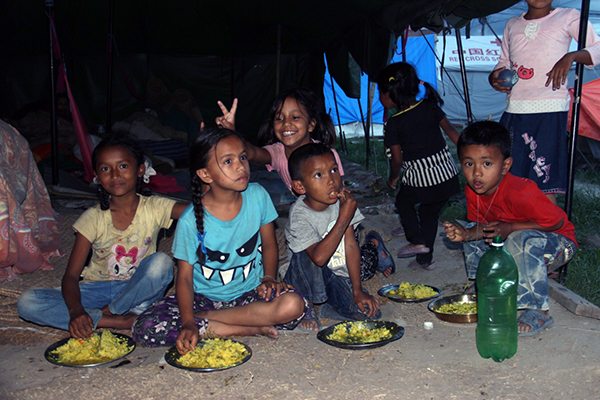 Dishes like boiled rice and sambar, vegetable pulao, tomato rice, upma, chapati and curry are served in the affected district. 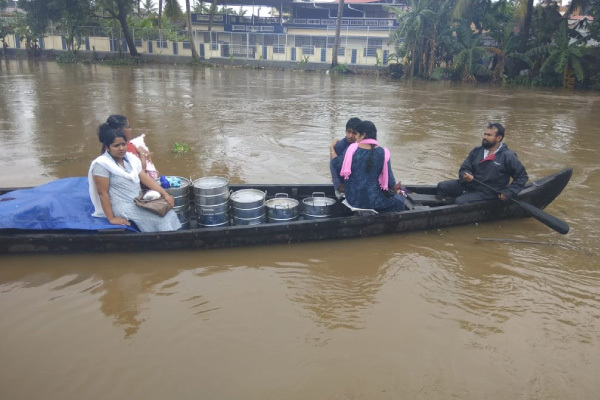 Delivery of meals: Akshaya Patra team with the help of four distribution vehicles are delivering meals to the affected people of Alapuzha. 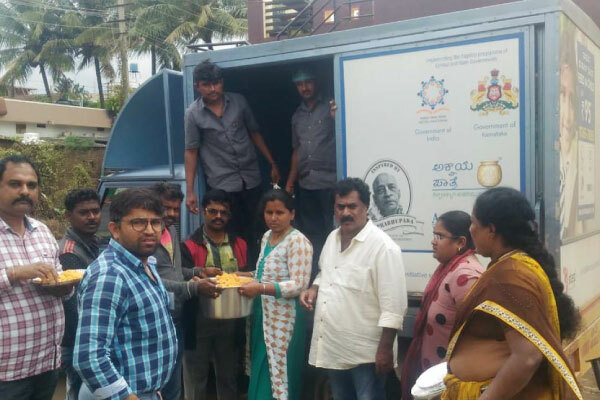 In areas where vehicles can steer through, cooked food is being delivered to people in Akshaya Patra delivery vans. The areas where the rising water level has restricted vehicle movement, food is being transported in boats. 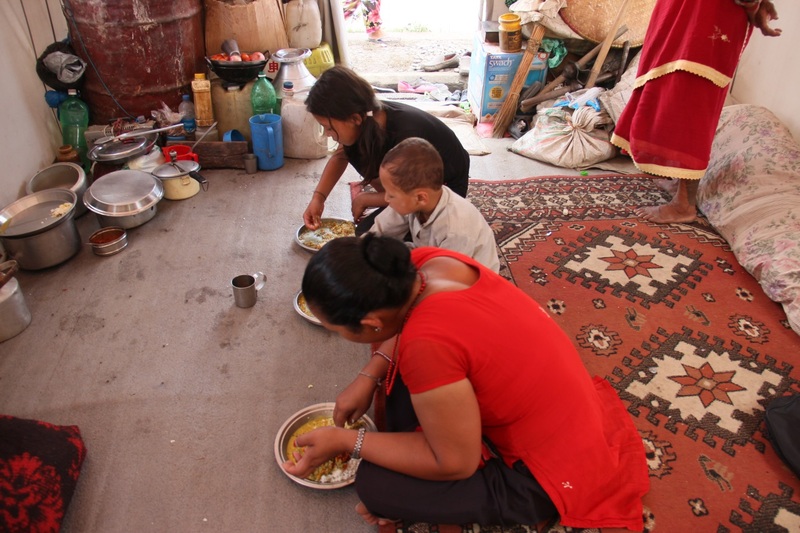 Some people also come to the temporary kitchen arrangement to get their meals. 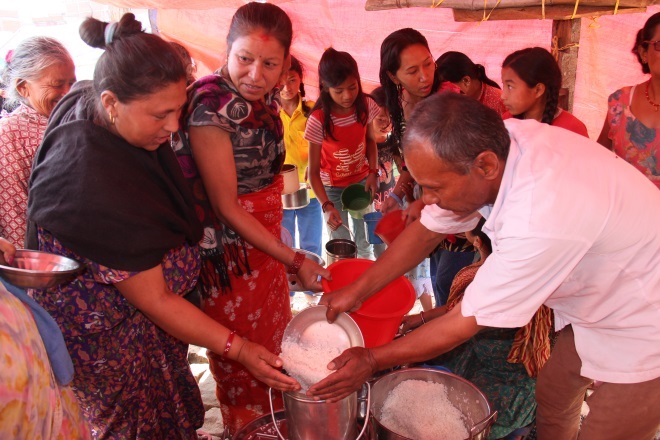 The feeding cost of the relief efforts amounts to Rs. 3-lakh per day. 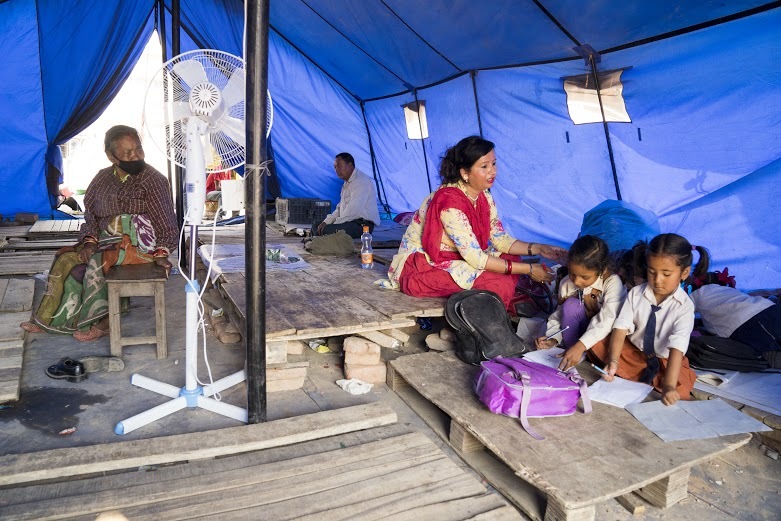 We request your generous support in helping us reach out to more survivors. As the flood water is receding, Akshaya Patra has begun reinstating homes and government schools with the support of Youth Volunteers from 28 August 2018. 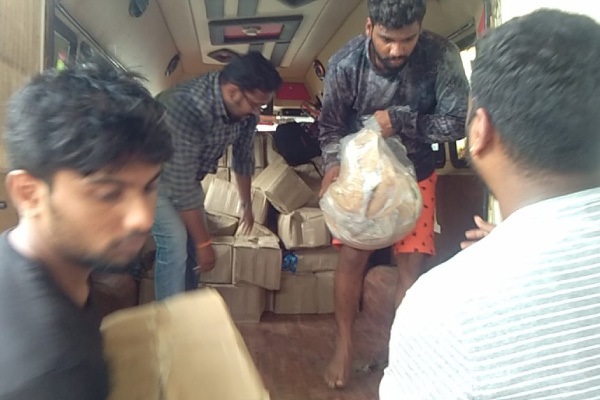 The first batch of 25 volunteers have left for Edathua Village, Alleppey followed by another batch for Thakazhi Village with all necessary equipment’s like pressure gun, mask, gloves, safety shoes, wiper, mop, soap solution, bleaching powder etc. 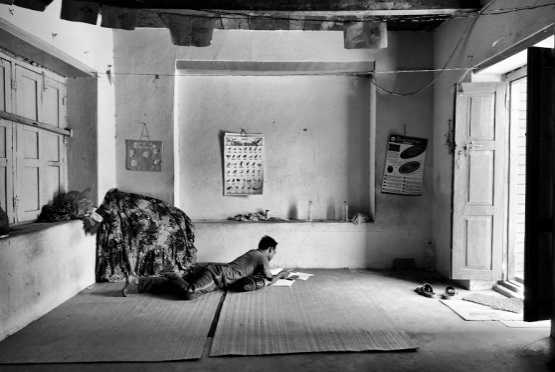 Akshaya Patra also intends to provide education material to children of this region. 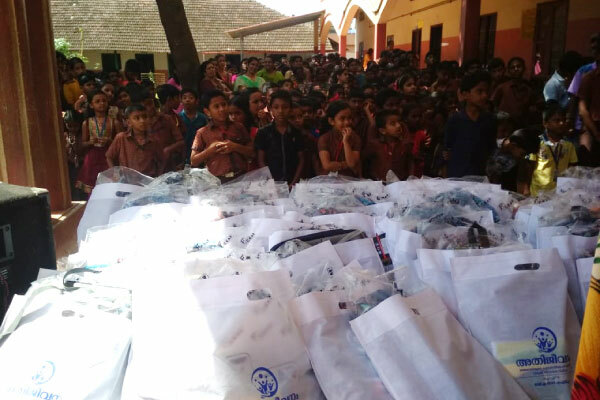 The Foundation has already received the first request from Angamaly District MLA for 6,000 school bags, 57,000 note books and 6,000 instrument boxes to distribute to the school children in the flood affected areas. 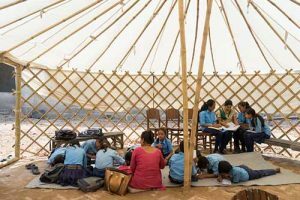 We request your kind financial support for distributing school bags, notebooks, instrument boxes, cleaning equipment and materials, and restoring school building including blackboards, electrical and other fittings. 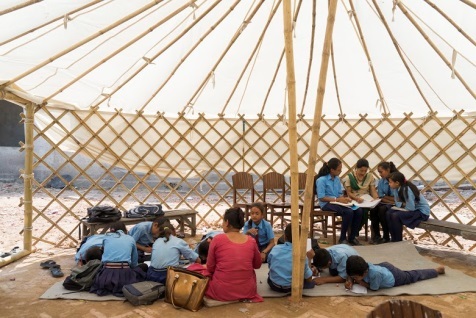 Your generous support will go a long way in bringing back flood-affected families back to their homes and children to schools. 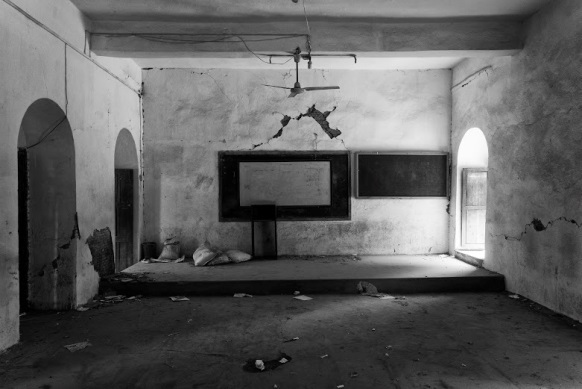 Areas Covered: Banaskantha District (North Gujarat), Kalol and Ahmedabad regions. 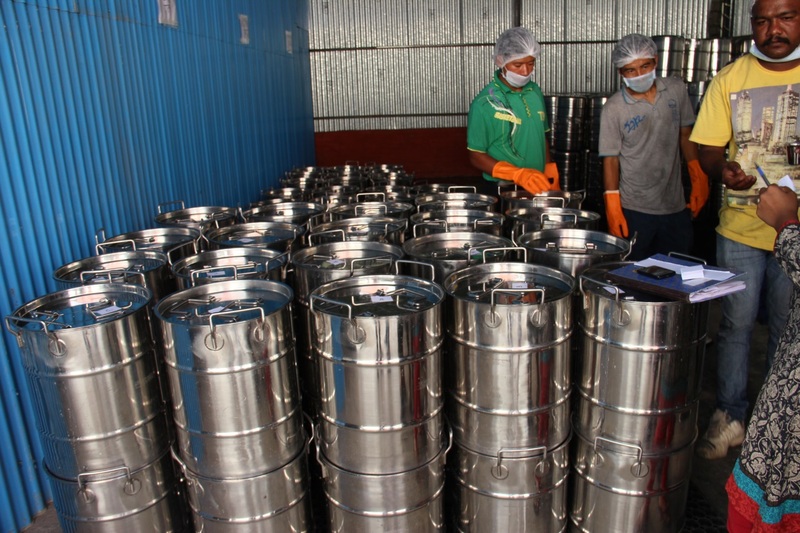 Akshaya Patra airlifted 1,00,000 meals to earthquake hit Nepal in April 2015. It also established a centralized kitchen in June 2015 to support the affected people of the region. 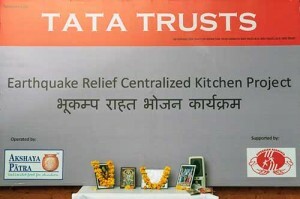 The Earthquake Relief Centralised Kitchen Project was a joint initiative undertaken by Akshaya Patra, Jamsetji Tata Trust, and Sipradian Sahayata Sanstha. 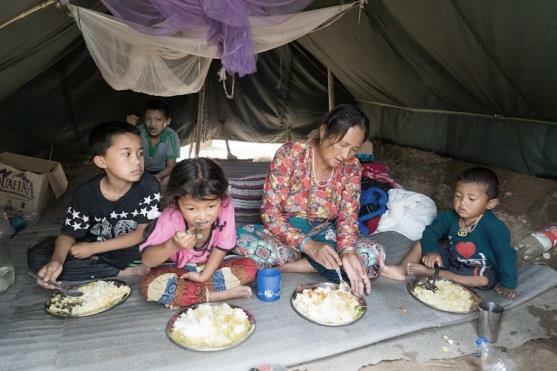 The kitchen served 1.4 million meals to the affected people for 88 days. Click here to know more. 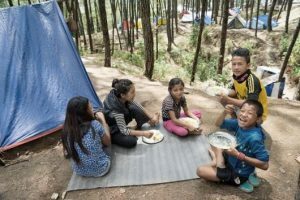 The lush green hill district and one of the main tourist attractions of Karnataka, Kodagu, popularly referred to as Coorg, is in a devastating state this monsoon. 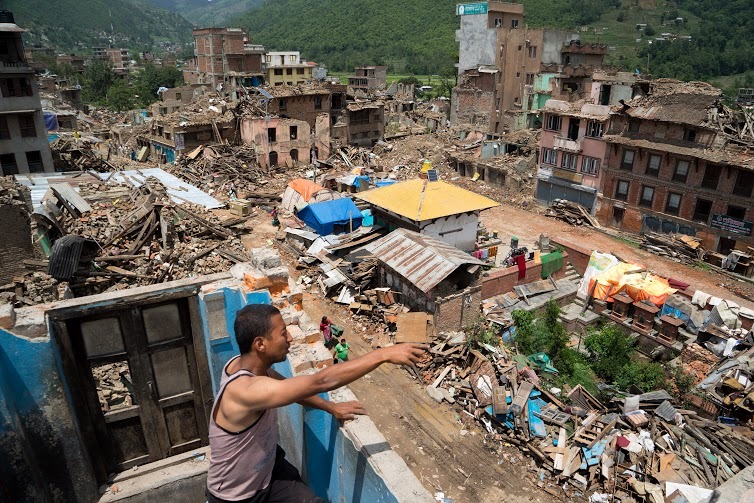 The merciless rains and unprecedented landslides have wreaked havoc in the entire district claiming lives and livelihoods, destroying homes and civic amenities, swallowing villages, rendering thousands of residents homeless, and altering the landscape with newly formed meandering courses of rivers and streams. 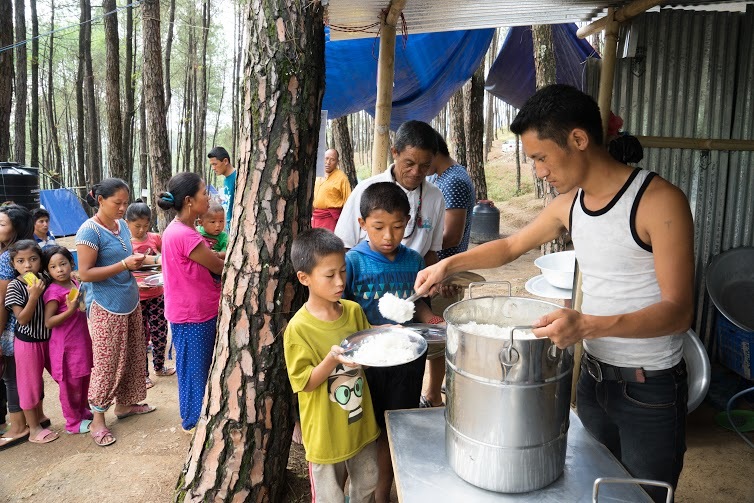 As rescue and relief services are pouring in to help the affected people, The Akshaya Patra Foundation has also stepped in actively in the relief work by providing cooked meals to affected people in Coorg. 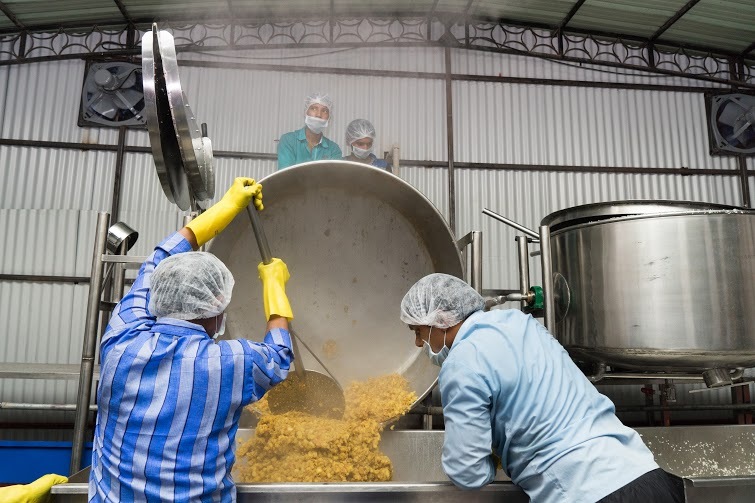 Relief workers: A team of Akshaya Patra employees are actively involved in providing food to the people. 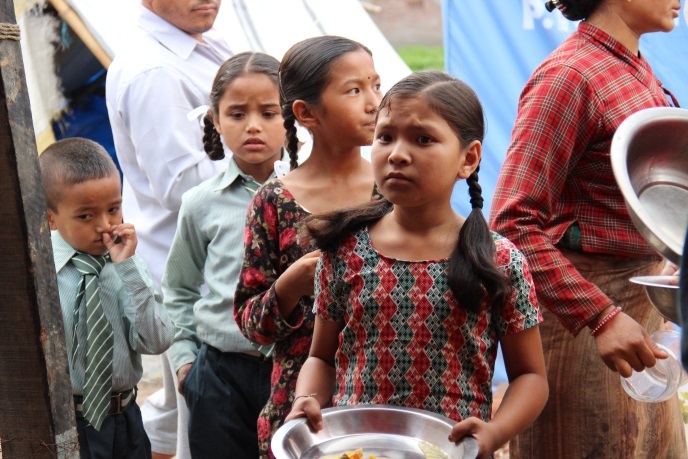 Meals served: From two make shift kitchens in Kushalnagar and Madikeri, Akshaya Patra is serving the meals on a daily basis to the affected people inclusive of breakfast, lunch, and dinner. 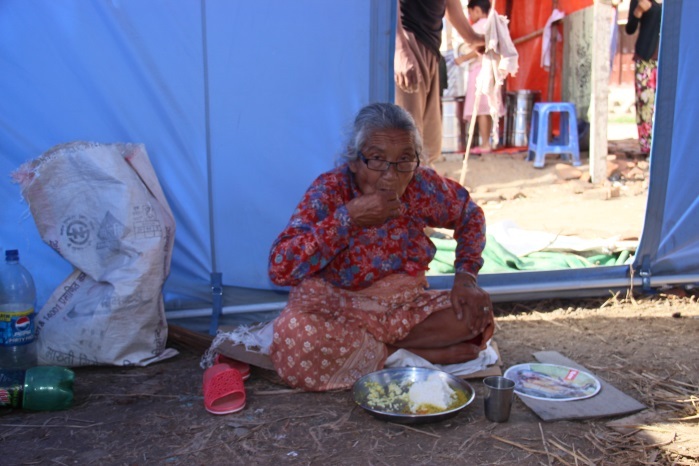 Type of meals served: Dishes like upma, puliyogere, pulao, and rice and sambar are being served in the affected district. Delivery of meals: The Akshaya Patra’s team with the help of distribution vehicles are delivering meals to the affected people of Coorg. 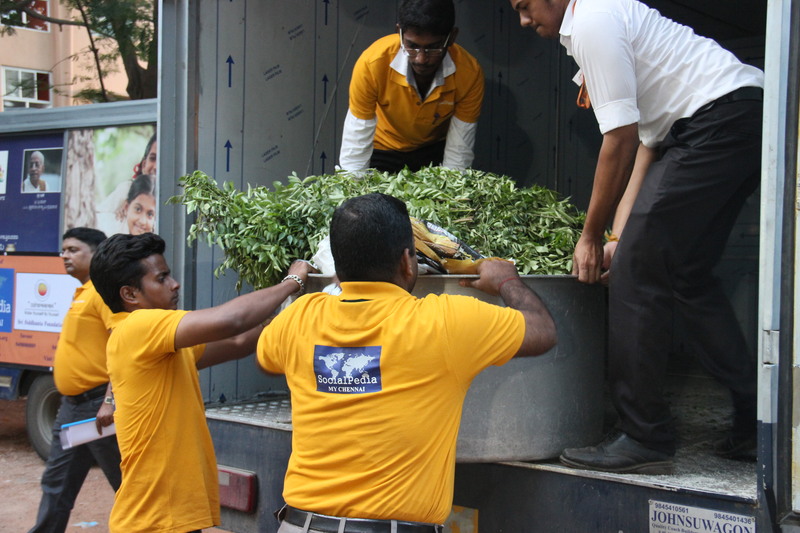 Read regular updates on our flood relief measures in Chennai. Scroll down to begin! 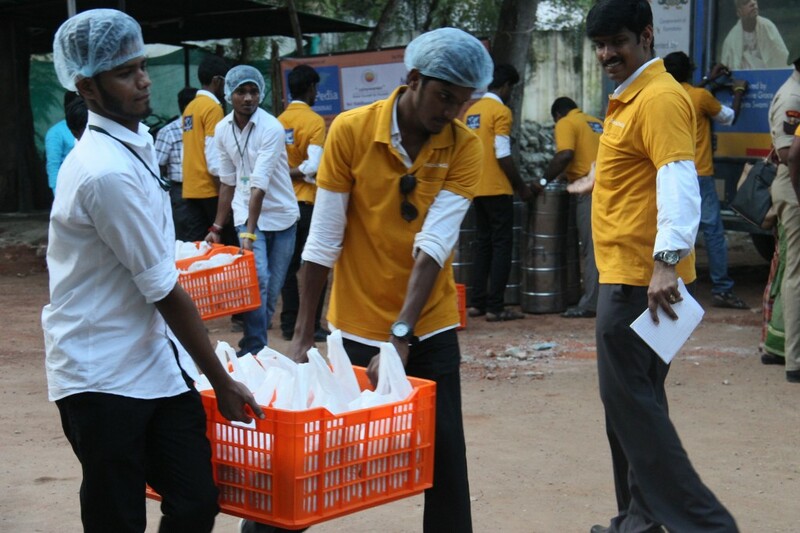 Today our kitchen set-up at Arambakkam served 6,000 packets of Puliyogare for lunch and dinner each. Our kitchen at Thiruvanmiyur also served 6,000 meals at Kilpauk, Saidapet, Vyasarpadi, Vadapalani, Kalipatti, Porur and Paiyanoor. 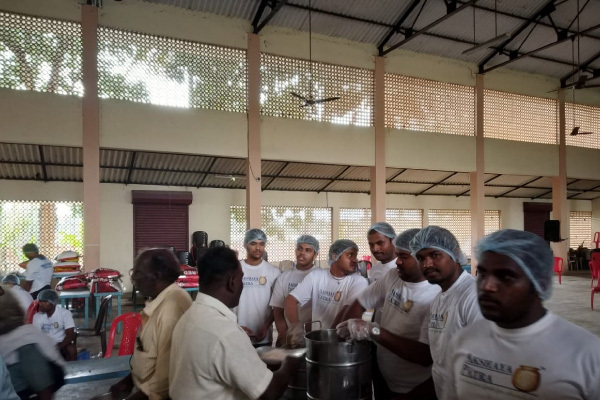 Today our feeding initiative at Arambakkam served 6,000 packets of Puliyogare for lunch and dinner, while our kitchen at Thiruvanmiyur served 10,000 meals too. 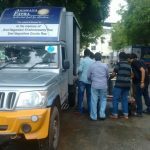 The Thiruvanmiyur kitchen served meals at Triplicane, Manali, Padur, Anna Nagar, Old Perungalathur, Vyasarpadi, Pammal and Porur. 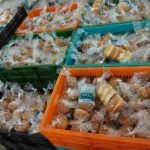 We have started a second feeding initiative in Arambakkam, with support from Sri Siddhanta Foundation, SocialPedia and D G Vaishnav College. 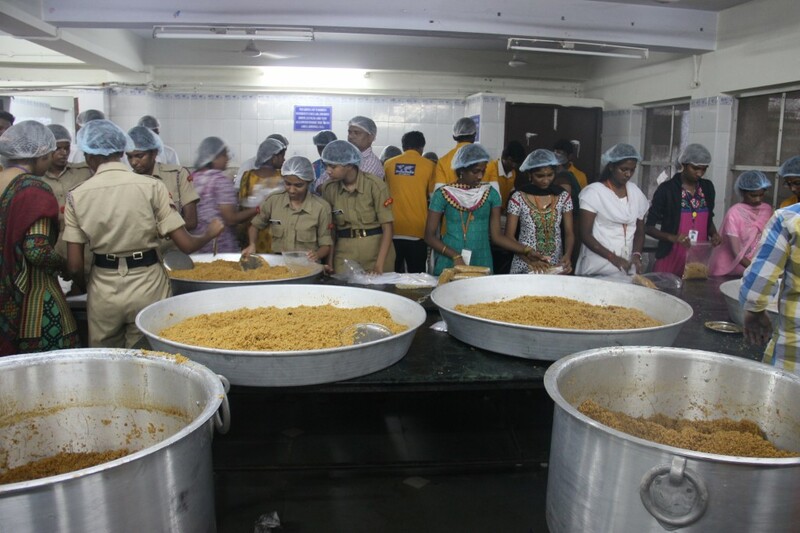 Today we served 5,000 packets of Puliyogare (500 gm) for both lunch and dinner. Our other kitchen at Thiruvanmiyur, which started cooking at midnight served 9,000 meals today, and 10,000 meals yesterday. 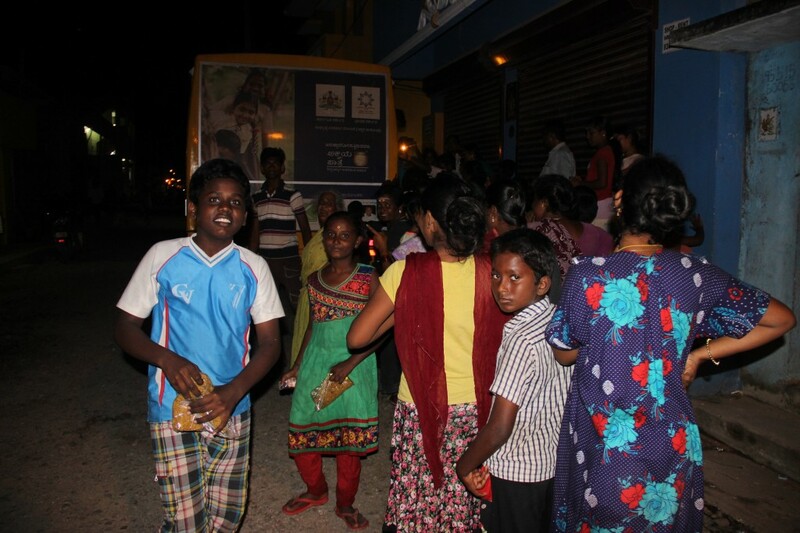 2,600 packets of food was served yesterday at our kitchen in Thiruvanmiyur. Today there are 100 volunteers and we expect to serve between 7000-8000 packets. The cooking started at 7.30 am and is underway. 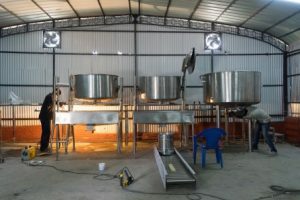 There are plans underway to open a second kitchen to provide food. Purchasing of supplies for the second branch of cooking has already begun. 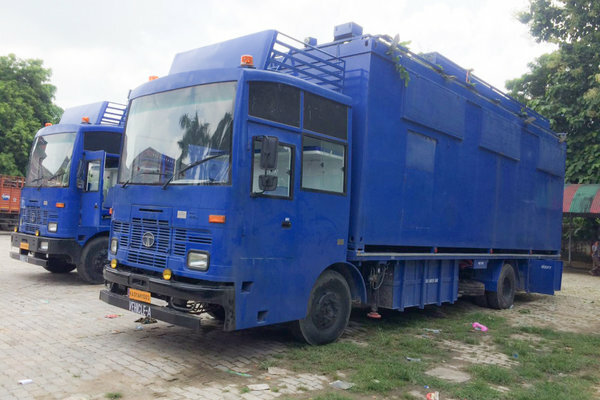 On 04, 05 and 08 December, trucks left for Cuddalore. These trucks were carrying dry food like fruit bread, chikki, chapatti packets, peanuts, candy etc. 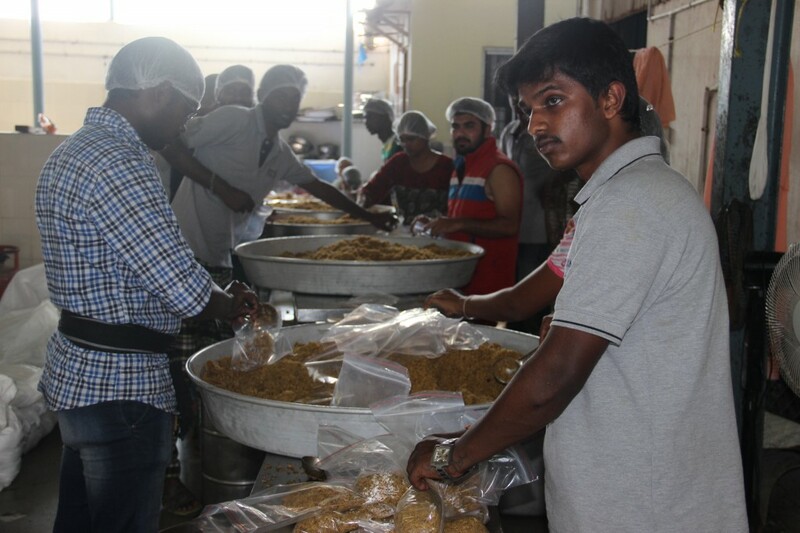 So far the Cuddalore efforts have distributed 35,000 packets of food. 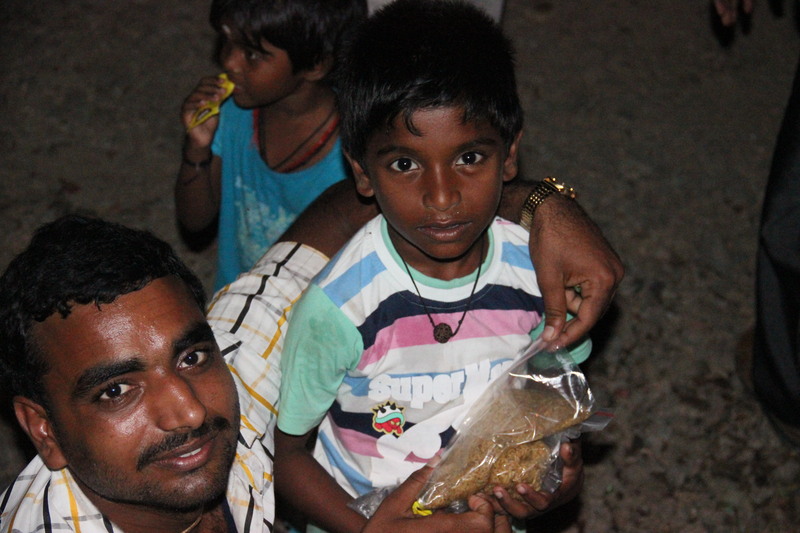 Today the aim is to distribute 10,000 ready to eat packets of food, and the same was distributed yesterday. 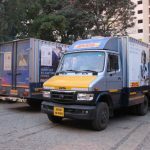 On 08 December, trucks left from HK Hill kitchen to our kitchen in Thiruvanmiyur at Chennai. 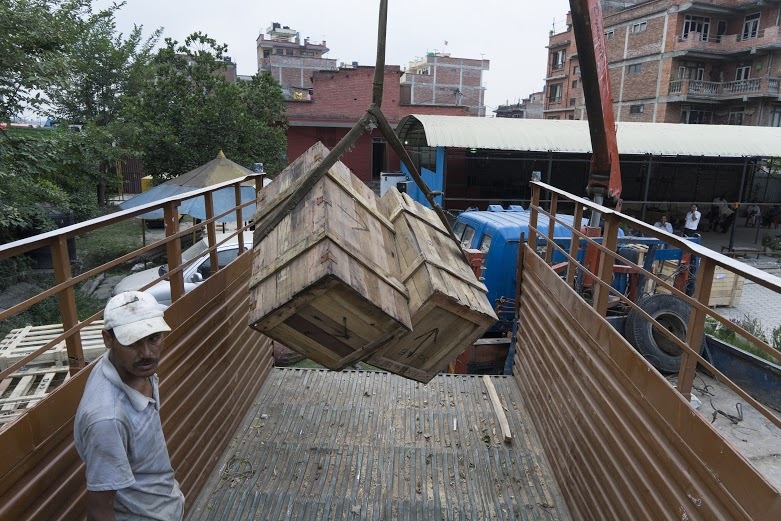 The materials reached at 10.30 am the next day. 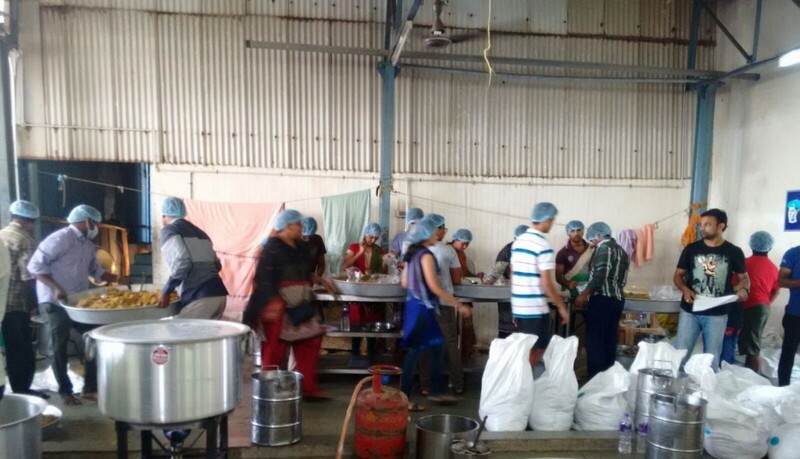 By 11.45 am the team had already cooked dal for 2,000 people. 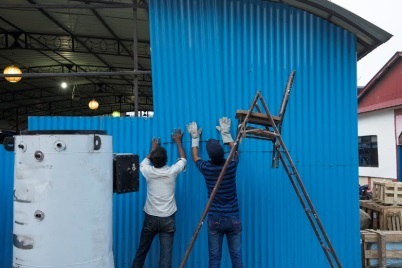 There are currently 25 volunteers and 4 Akshaya Patra employees at the site, more are expected tomorrow. In the face of the floods that have rocked the city of Chennai in Tamil Nadu, citizens of the state and the rest of India have banded together in a show of unity that is inspiring. 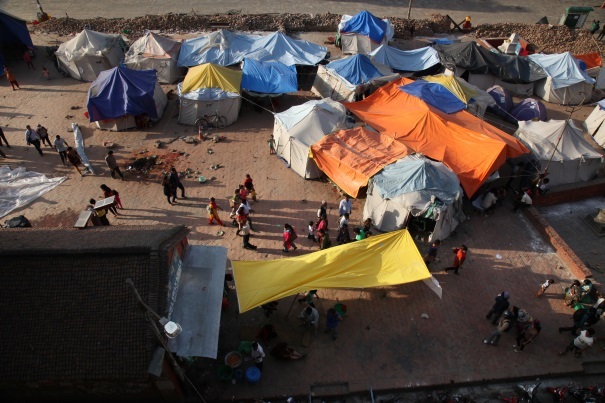 Relief material and volunteers have been pouring into the city to provide aid to those in need. We, at the Akshaya Patra Foundation, too are eager to do our part in supporting Chennai, and alleviating the distress in the region. 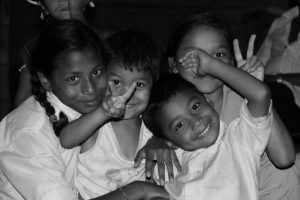 To this effect, our team has been serving freshly cooked meals every day with the aim of increasing the reach to 10,000 meals a day. 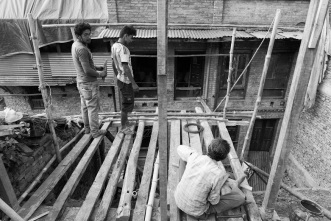 The team will continue serving even beyond that based on the need of the hour. 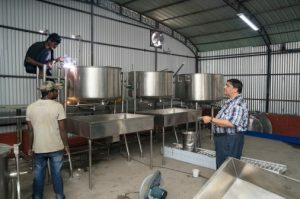 The cooking procedure is being carried out through the efforts of a team of 10-30 people, working as required for the successful implementation of this initiative. The team has been equipped with utensils and cooking equipment from the Bengaluru unit, with raw materials, packing material, housekeeping and fuel supplies being sent regularly to Chennai till arrangements can be made to procure it from within the city. 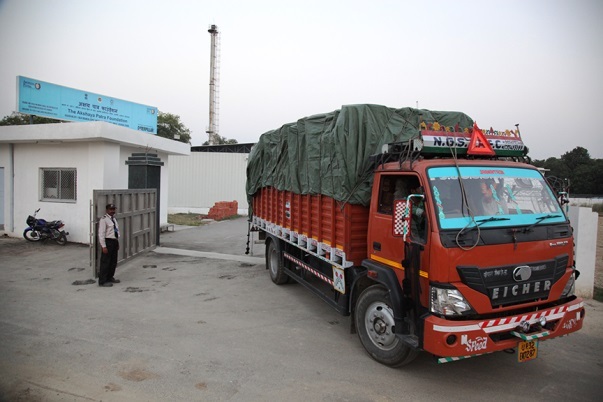 To increase the reach of the meals in the city, our Karnataka unit is sending five Akshaya Patra vehicles carrying vessels in the coming week to Chennai. On assessment of the relief needs, supplies will be replenished, additional man power will be mobilised and equipment transported. 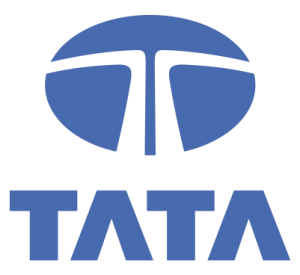 We are happy to be able to provide support to Chennai during these difficult times, and assist in reducing the difficulties facing the citizens of the city. We express our heartfelt solidarity to everyone in Chennai affected by this calamity. If you would like to support our efforts in Chennai, make a contribution. 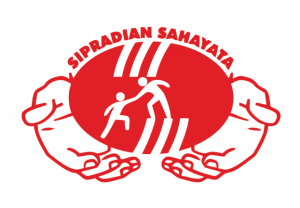 You can avail tax exemption under Section 80 G of the Income Tax Act on all donations. 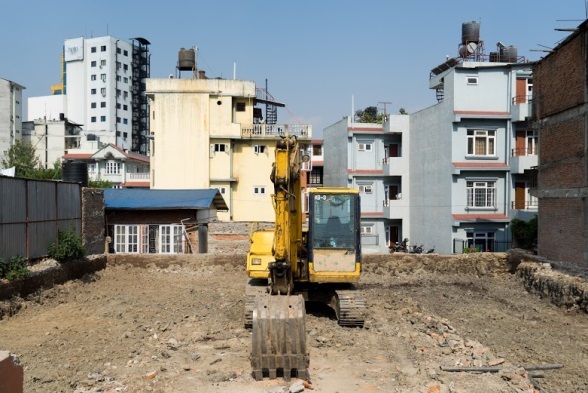 In the fourth of our five part interview with R Madan, Chief Projects Officer at The Akshaya Patra Foundation, we are given insight into the success of the Earthquake Relief Centralised Kitchen initiative in Nepal. Read the previous section of the interview here. 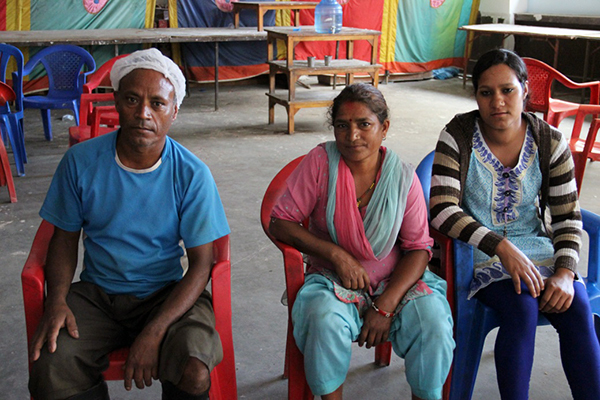 What is the feedback from the beneficiaries about the food and running of the programme? 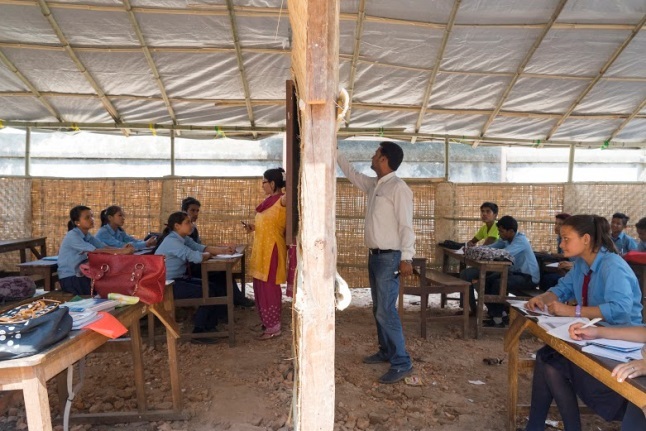 When we were there, the head of Tata Trusts and I visited the camps. We were surprised to be greeted by the entire camp. All the children were dancing and singing in their traditional clothes. They were very appreciative towards us. The icing of the cake was what a lady said, which I think was written in the papers also. She said it’s not just about Akshaya Patra serving food. 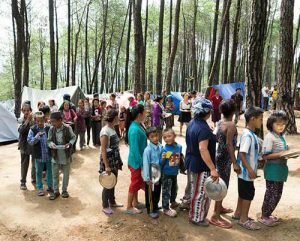 The initiative has brought people together at the camps too. It has created a social gathering because they all sit around where the food is being served. 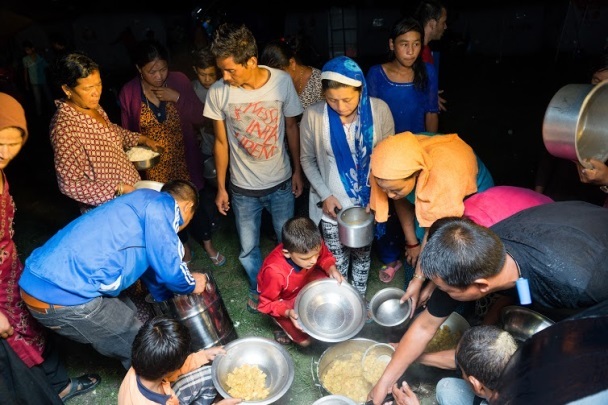 When we were serving the food, that one hour in the morning and evening became a social gathering where they could forget their troubles and look forward to something brighter. This for me was the greatest takeaway. 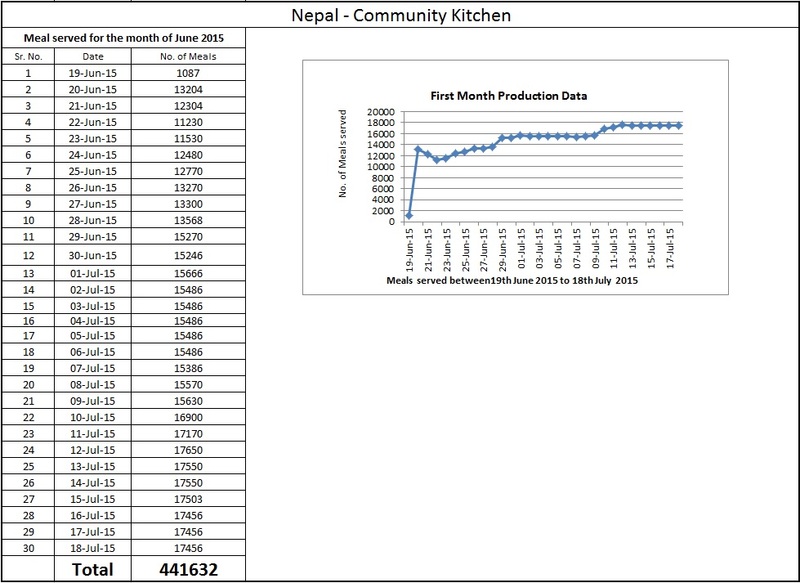 How many places/camps has Akshaya Patra been feeding in Nepal? On an average we are feeding 12 to 14 camps. But the number of camps keeps varying from time to time because some of them are shutting down. The closest camp was around 3 kilometres while the furthest was around 45 kilometres. 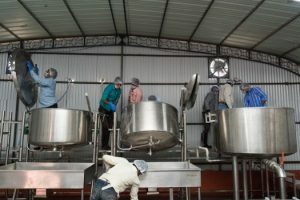 Can you tell us about the additional benefits of the kitchen, like providing employment and income? 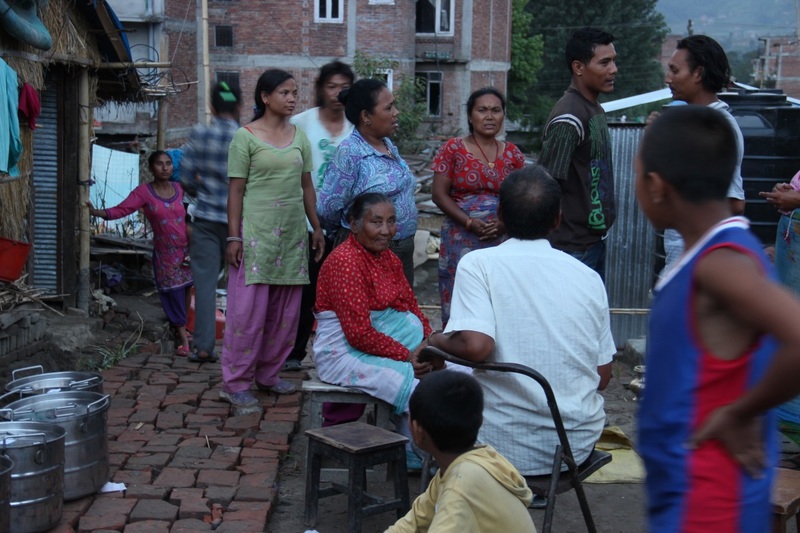 More than income, it was a more of fostering cooperation between us and the people of Nepal. 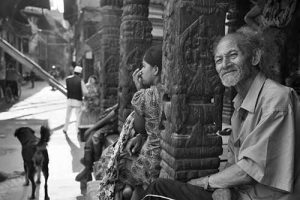 Unlike in India, where we have three meals a day, Nepal is a little different because they rely on two big meals for the full day. Their morning meal was a big meal. During the afternoon they don’t usually eat followed by another big meal at around 6.30-7.30 in the evening. But the issue was that people there were not willing to come to work before 7am. 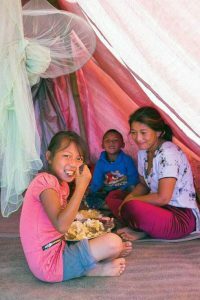 When we visited the camp, we asked a few ladies to join us at the kitchen. Initially they were little hesitant about coming early. We convinced them that we would pick them up and provide them with breakfast, after which they agreed to work in the kitchen. 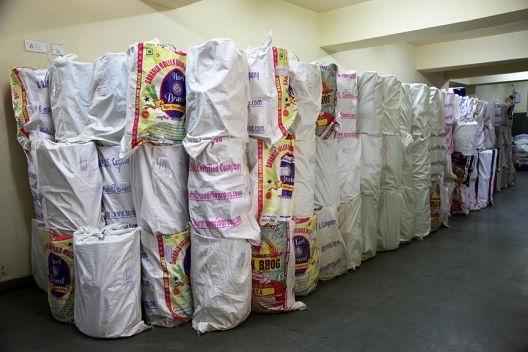 When we gave them these assurances, we had around 25 women coming to work for us. Even more surprising was when their first month was over and we were giving them their salary, they refused to take it. They said they were indebted towards Akshaya Patra for their service, but we made sure they take their salary. That for me was a great feeling. The Nepal Ambassador also visited the kitchen and the best thing he said in his concluding remark was till now the friendship between India and Nepal has been at a Governmental level. But this is one programme that had direct contact with the people. 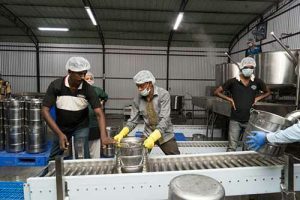 He also said he will go all out to help Akshaya Patra establish its operations in Nepal. This was a great statement made by him.